On 5 June 2017, state news agencies in the United Arab Emirates (UAE), Saudi Arabia, Bahrain, and Egypt published stories accusing Qatar of financing terror and interfering in the internal affairs of its neighbors. As a result, the quartet took it upon itself to sanction the tiny gas-rich country by halting all sea and air travel to and from Qatar, closing Qatari ports, recalling their own ambassadors, booting Qatar’s diplomatic representatives, and telling their own citizens they have two weeks to pack up and leave Qatar – also giving Qataris the same time frame to go home. In the days that followed, the UAE, Saudi Arabia, Bahrain, and Egypt remained firm in their position and gave Qatar an ultimatum: either Qatar’s foreign policy falls in line with the rest of the Gulf, or the blockade will continue indefinitely. Two weeks into the crisis, the quartet released a list of demands for the country to meet. Qatar claimed the list was unrealistic, with other officials echoing the sentiment. However, in a recent conference organized by the Hudson Institute in Washington, former White House strategist Stephen Bannon said the list of demands was legitimate. The list included the closure of controversial TV network Al Jazeera, ending Qatar’s interference in its neighbors’ foreign policy, cutting ties with Islamists, and ending all terrorism financing, among others. A few weeks into the crisis, CNN leaked a similar list of demands from the 2013–2014 secret agreements signed by Qatar’s emir after the last public dispute between the countries. More than five months into the crisis, analysts and officials continue to question reasons for the blockade. Today, more than five months into the crisis, analysts and officials continue to question reasons for the blockade, even calling it “silly.” Some have argued that the crisis was taking too much of US officials’ time in shuffle diplomacy – time that could have been put to better use in combating the Islamic State of Iraq and the Levant (ISIS) and pushing back against Iran’s influence in the region. When the blockade against Qatar was first announced, very little was said of the dispute’s origins. Media reports showed Qatari officials denouncing the blockade and expressing their surprise over what they said were unexpected and extreme measures. Official media outlets in the UAE, Saudi Arabia, Bahrain, and Egypt explained in detail the reasons for the dispute, but people continued to search for deeper – and what they saw as more sound reasons – for the origins of the crisis. Many turned to Iran for answers, seeking the reasons for the dispute. In fact, Iran had come to Qatar’s aid with food supplies within hours of the blockade announcement. Some theories proposed the reason as jealousy about Qatar hosting a US air base, that the country had won the 2020 World Cup bid, and the prospect of a Turkish-Qatari military alliance. Saudi officials and analysts, including Mohammed Alyahya, explained early on that the blockade had its roots in 1995. That year, the Qatari emir’s son, Sheikh Hamad bin Khalifa Al Thani, overthrew his father, Sheikh Khalifa bin Hamad, while the latter was in Switzerland. The palace coup caught the rest of the Gulf off-guard. In an unprecedented move, the ousted emir turned to other Gulf states, asking them for help to restore him to power. Not only was the coup unprecedented, but also it opened the door to possible instability and revolution. In secret recording between Sheikh Khalifa bin Hamad and Colonel Muammar Qaddafi, the former also spoke of undermining the Saudi royal family. Qatari officials rarely reference the coup during interviews about the origins of the rift. Instead, they gloss over the event and say that 1995 was the year when Qatar experienced a “regime change” and established itself as an independent actor with its own foreign policy. As soon as Qatar had a new emir, the tiny Gulf state wasted no time in making itself relevant by signing energy agreements with a number of emerging markets. The emir, within months of his coup, helped set up the Qatari-owned Al Jazeera news channel in 1996 by providing a loan of 137 million dollars in start-up funds. Al Jazeera has since become a major actor in all of Qatar’s disputes with its neighbors, consistently giving dissidents and jihadis a media platform. For example, in 2002, Saudi Arabia withdrew it ambassador from Doha in response to Al Jazeera’s coverage of domestic affairs within the Kingdom. It took five years to resolve this issue. Al Jazeera has become a major actor in all of Qatar’s disputes with its neighbors. In 2013 and 2014, a larger dispute – this time involving also the UAE and Bahrain – took hold. The trio cut diplomatic ties with Qatar after having discovered that it was housing Islamists, providing them with a major platform with its Al Jazeera Mubasher Misr channel, and fueling the Muslim Brotherhood in Egypt. After former Egyptian President Muhammed Morsi was ousted by a military coup, Muslim Brotherhood members started to regroup in Doha. The Qatari leadership was aware of their presence and facilitated their residency. February 2014 was the final straw, when Yusuf al-Qaradawi pilloried the UAE during a sermon in Doha that was broadcast on Qatar TV. One month later, the UAE, Saudi Arabia, and Bahrain withdrew their envoys from Qatar in protest of Doha’s interference in their internal affairs. In 2013 and 2014, three secret agreements were signed between the trio and Qatar. These agreements, which has recently surfaced, shows that Qatar had signed off on supporting Egypt’s stability, which included preventing Al Jazeera from being used as a platform for groups or figures challenging the Egyptian government, and ending support of the Muslim Brotherhood and groups in Yemen and Saudi Arabia that posed a threat to the security and stability of the Gulf Cooperation Council (GCC). Qatar initially took steps to abide by the agreement, such as closing down Al Jazeera Mubasher Misr and dispelling a number of Muslim Brotherhood members from the country – asking seven of those members to leave quietly. However, Qatar only had the intention of minimally patching up relations in order to restore diplomatic ties; it never intended to cease backing Islamists on the battleground. The Arab Spring was a turning point in the Gulf rift; Qatar unapologetically revealed its true foreign policy to back any sides opposed to those that the UAE, Bahrain, and Saudi Arabia supported. Qatar is typically accused by countries facing unrest – as well as by its Gulf detractors – of playing an instrumental role in supporting rebellions against its neighbors by using its foreign policy, money, and media to agitate and finance political and military oppositionists. Qatari officials frequently affirm that Doha had made the decision to stand with all the peoples of the region and that it does not work exclusively with Islamists. Officials often cite their support for the Egyptian interim military junta in 2011 and their continued financial support for Egypt after the ousting of the Muslim Brotherhood in 2013 to prove that they have not always given preference to Islamists. In reality, however, their pro-Islamist approach has proven to be far more extensive. Before, during, and after the Arab Spring, Qatar’s support for Islamists helped destabilize an already chaotic region. After initially successful revolts left the people with a mist of hope in 2011, Qatar used its media arm to help Islamists gain power in the affected countries, while pumping billions into supporting Islamist movements in the region. Before, during, and after the Arab Spring, Qatar’s support for Islamists helped destabilize an already chaotic region. According to one media researcher who spoke to prominent UAE commentator Sultan Al Qassemi, Al Jazeera relied heavily on a combination of incitement, bloody scenes, Islamic preachers, and media commentators for the next two years (2012–2013) to spread its influence. Sultan, who documented various instances of Al Jazeera’s biased coverage, said at one point that the Muslim Brotherhood’s spokesman, Gehad El-Haddad, had directed his followers on Twitter to watch Al Jazeera news coverage. Also, journalists accused Al Jazeera of broadcasting photographs it claimed were from the Syrian Civil War but that had actually been taken in Egypt. In 2013, 22 journalists from Al Jazeera’s Egypt channel resigned for having reported biased news. In Syria, Qatar supported various groups that were more focused on elements affiliated with Islamists, ranging from the Muslim Brotherhood to Salafi jihadism, including Ahrar al-Sham, Faylaq al-Sham, the Levant Front, and Ajnad al-Sham. Allegedly acting in coordination with Turkey and Sudan, Qatar supported Islamist factions in Libya such as the Libya Dawn faction, allegedly acting in coordination with Turkey and Sudan. The UAE, Saudi Arabia, and Egypt – in varying degrees and separately – supported rival factions that included elements of the former military, like Khalifa Haftar, as well as Salafi organizations and a generally apolitical current known as Madkhali. Qatari special forces trained a group in Libya, some of whom later on joined jihadists in Syria. Qatar was able to funnel financial support to groups through the Islamist militia-controlled airport Mitiga. Although Qatar was part of the Saudi-led coalition that has been at war with the Houthis since 2014, Yemen was accused of passing information to the Houthis, something the Qatari officials vehemently denied. For the UAE and Saudi Arabia, and Bahrain in particular, a long and bitter history with Islamists has led to these three countries having zero tolerance for them. This was a lesson hard learned after the Muslim Brotherhood had spent three decades meddling in the internal affairs of the three countries just after its members fled from Egypt in the 1970s and 1980s. By the time the countries realized who the Muslim Brotherhood was, the latter had already infiltrated a number of highly influential government branches. In the UAE, for example, they could be found in the Departments of Justice and education. The crackdown on the Muslim Brotherhood began shortly thereafter in the UAE, where the Brotherhood had pushed Emirati members and sympathizers into less influential roles. In interviews with Emiratis close to the government of the UAE, it was recalled that in the 1980s, both the Minister of Justice and the Minister of Education were Muslim Brotherhood members. In 2013, the UAE took the final measure of designating the Muslim Brotherhood as a terrorist organization and subsequently blacklisted its affiliates, including Al-Islah. 94 Emirati members of Al-Islah were arrested and later tried in the highest court of the UAE. The UAE and Saudi Arabia long ago realized that any effort to eradicate Islamists from the region would require extreme measures. They knew that even dialogue would allow room for the malignancy to seep through their borders. This explains why the UAE’s security apparatus ruthlessly sought out any Islamists who were in the country and gave them a few hours to leave quietly, so as to remove any potential threats to the country’s security, especially since 2011. The Gulf crisis has forever changed the way GCC states interact with the media and how they are perceived by the world. In the absence of US leadership, it was clear that the quartet wanted to take matters into their own hands and rely on local actors instead. Historically, any journalist covering news in the Middle East would notice a stark difference between each country’s accessibility. Kuwait and Bahrain have always been the easiest to gain access to, with officials making themselves available for comments. The same cannot be said of the UAE, Saudi Arabia, or Qatar. For these states, any public statements issued were almost always crafted by a number of senior advisors. With so many editors and a pervasive fear that words would be taken out of context, these messages are filled with generic sentences and diluted meanings, imparting as little information as possible. A one-page press release from one of these countries could often be summed up in less than one line. In most instances, it was a case of too many cooks spoiling the broth. The Gulf crisis has forever changed the way GCC states interact with the media and how they are perceived by the world. When the blockade against Qatar was announced, however, the state media apparatus was on its toes in all three countries. The blockading countries were the most active, as expected, providing news of the blockade and, soon afterward, news from countries that supported the action. Officials made themselves available to speak out in support of the blockade. In the days and weeks after the blockade was enacted, UAE, Saudi, and Qatari officials were appearing on every TV channel. Officials’ Twitter accounts suddenly went on overdrive; their number of followers quadrupling in a matter of days as the world sat and watched these countries scurry to provide reasons for the action, which people are still in confusion about. Advertisements popped up both in favor of and against the blockade in mainstream newspapers. It had been a very long time since anyone had seen these three countries be this active with the media. Two weeks into the blockade, when the UAE, Saudi Arabia, Bahrain, and Egypt provided a list of demands, state news agencies in the UAE gave very detailed accounts of these points, also listing the names of people the quartet wanted Qatar to expel from their countries – even noting their Twitter handles. It had never been so easy to get GCC officials to speak on the record to the media about the crisis. For this reason, it is confusing why Western analysts are at a loss when it comes to the reasons of the dispute. Taboo subjects previously thought to be unspeakable have now become part of the public discourse, which fact could open up the space for future debates on what may or may not be discussed in the media, such as Wahhabism. In untapped conversations, Saudi Arabia’s Crown Prince Mohammed bin Salman talked about Al Sahwa, a political-religious movement that gained steam in the 1980s in the country and the region, a topic never before broached officially in public. He also discussed the tribal fault lines within Saudi Arabia. In a powerful message, Mohammed bin Salman spoke of taking the Kingdom back to its pre-1979 condition, before the Iranian Revolution and Al Sahwa, the latter of which coupled revolutionary ideas with Salafi concepts. Influenced by the Muslim Brotherhood, Al Sahwa gave birth to takfirism – the calling of a fellow Muslim an infidel. Since the early 2000s, Al Sahwa has been associated with the armed insurrection led by Al Qaeda. Other terror groups, including ISIS, have relied heavily on takfiri fatwas as justification for their own attacks. Despite being a harmful movement, it was never formally banished, mainly because it was never officially recognized in the first place. Toda, Arab societies still see the effects of the Al Sahwa movement. Many who adhere to its school of thought have landed in prison. Others, more discreet with their views, continue to pursue an activist religious agenda and sometimes issue extremist fatwas calling for jihad or excommunication, although they are also seeing increasing pushback from society. Before Saudi Arabia lifted the ban against women driving in the Kingdom, they arrested dozens of clerics. Coupled with Mohammed bin Salman’s speech, this served as a gag order against sheikhs to keep them from protesting modernization.14 The dispute’s political and social environment as well as mobilization also helped with this process. Citizens of the UAE, Saudi Arabia, and Bahrain were told that they could either fall into line, or be prosecuted if they voiced any support for Qatar or spoke against the blockade. Even if not every citizen backed the leadership’s decision to cut off Qatar, at least they all knew not to protest it. In recent years, GCC countries have been working to combat Islamism, which is one among the many reasons why Islamists chose Qatar as the place to set up camp. One of the ways to combat Islamists is to eliminate hate speech. In Saudi Arabia last May, Saudi cleric Saeed bin Farwah was sentenced to 45 days in prison for defamation after having called prominent Saudi actor Nasser Al Qassabi an infidel after seeing an episode of the latter’s popular prime-time Ramadan show “Selfie.” The case set a precedent and functioned as a gag order against other clerics in the Kingdom. While the UAE has a number of laws in place to prevent hate speech, including takfiri fatwas – the most recent of which was enacted last year – the cabinet this year announced an institute to manage fatwas in a way that will end this type of abuse, according to Dr. Habib Al Mulla, a prominent Emirati lawyer. Even Kuwait, which is acting as a mediator in the Gulf crisis, is making changes to how it deals with hate speech. Kuwaiti cleric Othman Al Khamis was brought to court after making provocative statements about Shiites on TV. The comments shocked the people of Kuwait and threatened the fabric of Kuwaiti society, where the ratio of Shiites to Sunnis is one of the highest in the Gulf, the former making up more than 35 percent of the population. Although Kuwait has the National Unity Law in place, which should have been sufficient to penalize the cleric for his hate speech, a judge gave the cleric a free pass, saying that Al Khamis had been quoting Ibn Taymiyyah, a 13th century Islamic theologian. As details of the case emerged, anger arose, along with fear that the court ruling, or lack thereof, would set a precedent for tolerating religious intolerance in Kuwait. Now that Al Khamis’s case has come to light, a group of parliamentary members in Kuwait’s National Assembly, headed by liberal Ahmed Al Fadel, plan to challenge Kuwait’s law later this year in an effort to toughen punishments for hate speech in all its forms. Although Kuwait had resisted the Sahwa movement at that time, Al Fadel said that by 1990, when the movement had reached its peak, it started seeping into the country. A close examination and recap of the last twenty years of the Gulf dispute shows that the rift is not “silly,” and any attempt to dismiss it as such could lead to a terrible outcome for the Gulf. It is unclear how long this crisis in the Gulf will continue. It is clear, however, that it will not be resolved without a full commitment from Qatar to end all its support for Islamist movements in the region and internally. Although the Muslim Brotherhood has not been allowed to meet publicly in Qatar, they do meet unofficially, holding salons. This is an example of something that the UAE, Saudi Arabia, Bahrain, and Egypt will no longer allow Qatar to facilitate. Official signatures on documents agreeing that Islamist movement groups are not allowed in Qatar will not have any credibility unless the words are followed by action. To be sure, Qatar wants to restore ties with its neighbors but concurrently does not want to lose its “independent” foreign policy or the freedom to support opposition movements. It will take time before Qatar is able to break off relations with these groups and return to the fold. If this does happen, then the GCC will have the potential to become a strong military alliance with the ability to secure stability in the Gulf for years to come. If not, there is the real risk that the GCC will cease to exist. Interview between Ahmed Al Fadel and the author. 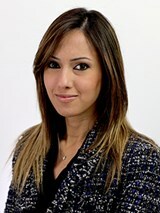 Ola Salem is a Middle East journalist with over seven years of experience working in the Gulf. Salem is currently Head of Communications at Washington, DC-based think tank, the Arabia Foundation.